Teletalk Boishakhi Offer 1426 MB, 26 Min & 26 SMS @Tk 26! 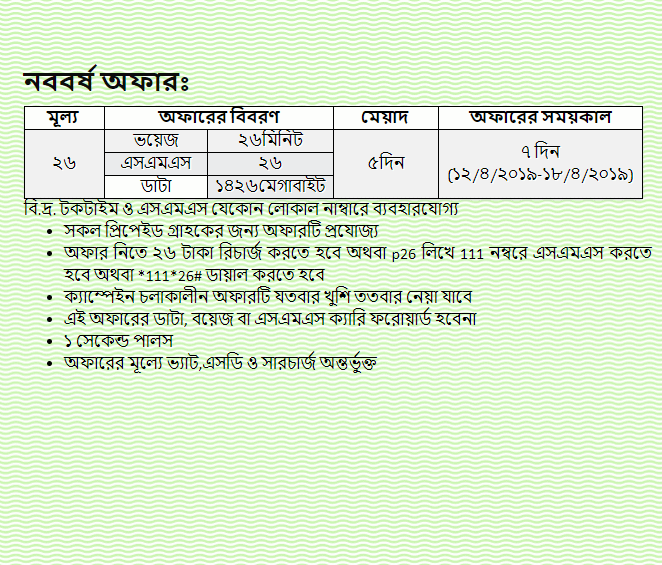 Getting 26-minutes talk time, 26 SMS and 1426 MB data at just 26 Taka to increase the of the Bangla New Year! 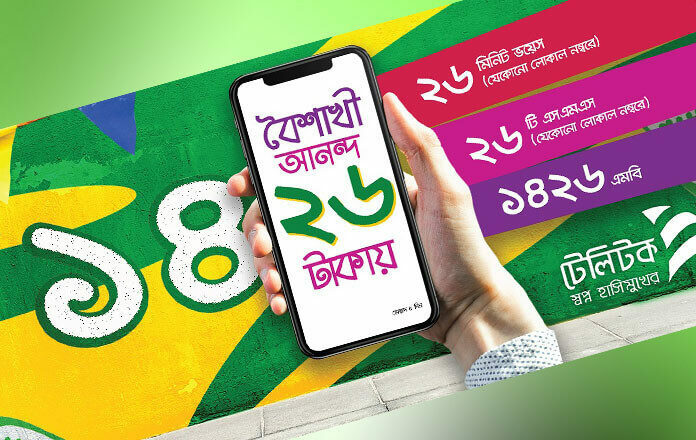 On the occasion of Bangla new year, Teletalk offers some special offers 1426 MB, 26 minutes and SMS will be available for Teletalk subscribers only Tk 26. Bengali New Year 1426, Bengali New Year will be celebrated on April 14, 2019. For this reason, all the companies of Bangladesh started offering on the occasion of Boishakh. Almost all mobile operators of Bangladesh have offered a number of offers on the occasion of Baishakhi. The offer is applicable for all prepaid customers. During the campaign, the offer can be taken as often as possible. To active by SMS Write P26 and send it to 111 / To avail the offer, recharge Tk 26. The data, boys or SMS will not be forwarded to this offer. Talk time and SMS are available on any local number. Offer price includes VAT, SD, and surcharges. Like our official Facebook page to connect with us on Facebook.